Symphonic rock and metal acts sometimes run the risk of sounding generic and repetetive, especially when these bands incorporate the almost reduntant and cliche operatic vocals. This is not to say that all symphonic rock and metal bands that use operatic vocals are bad, just that some are better than others. The best of that list are Within Temptation and Epica. Within Temptation and Epica are both Dutch bands. Today we look at the new album from another band from the Netherlands. 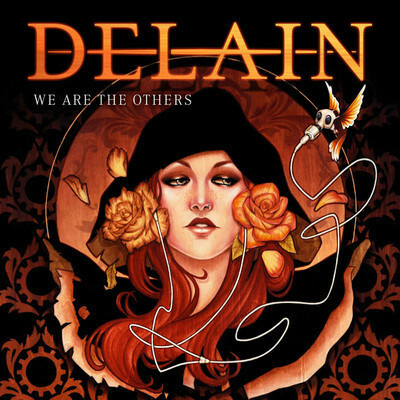 Delain differ from the aforementioned bands in that vocalist Charlotte Wessels employs few opratic sections, opting instead for more mainstream rock-based vocals. As with previous Delain albums, We are the Others features a fair amount of keyboard symphonic music, but this element is less pronounced than previous albums and served to enhance the rock music above it rather than dominate. I enjoyed Delain's previous effort, April Rain perhaps more than this disc. The only beef I have with this album is minor. A few songs sound like filler pieces that do not seem to belong as part of the whole. These tracks seem to interrupt the flow of the album and leave you scratching your head. Where is the Blood features Burton C. Bell of Fear Factory fame on vocals. That is also a good number. If you like such bands as Nightwish, Epica, and After Forever, Delain's new disc will be right up your alley. We Are the Others is worth of a 4.1 out of a possible five stars. Check out the title track and Hit Me with Your Best Shot below.